Renaissance Woman: The H.M.C.S. Swansea's mascot, "Townie"
The H.M.C.S. Swansea's mascot, "Townie"
I'm doing some fascinating research right now, and some of it has me trying to find images of H.M.C.S. Swansea (a River Class frigate in WWII). 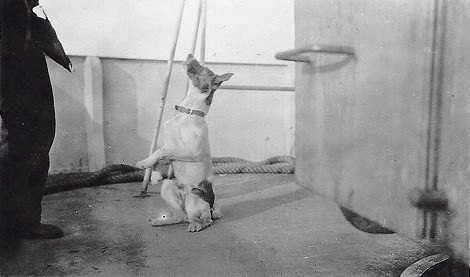 "Townie - the best mascot any ship ever had." From the Bob Pearson collection. 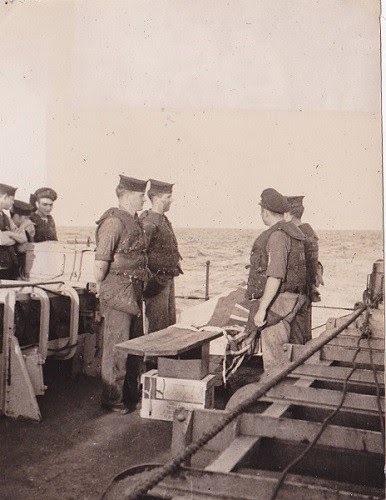 "Robert (Bob) Pearson with Townie on HMCS Swansea K328." From the Bob Pearson collection. 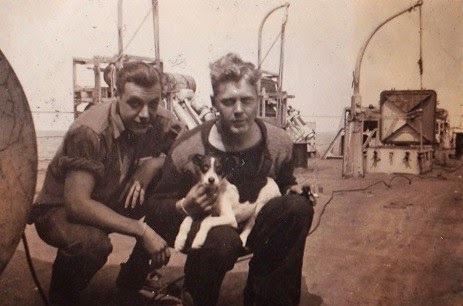 "Townie (left) the ship's mascot and Herman, the stowaway on HMCS Swansea K328." From the Bob Pearson collection. "Albert Tomlinson on left. 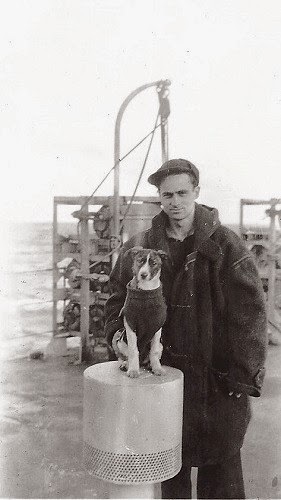 Unknown sailor holding ship's mascot Herman." From the Albert Tomlinson collection. 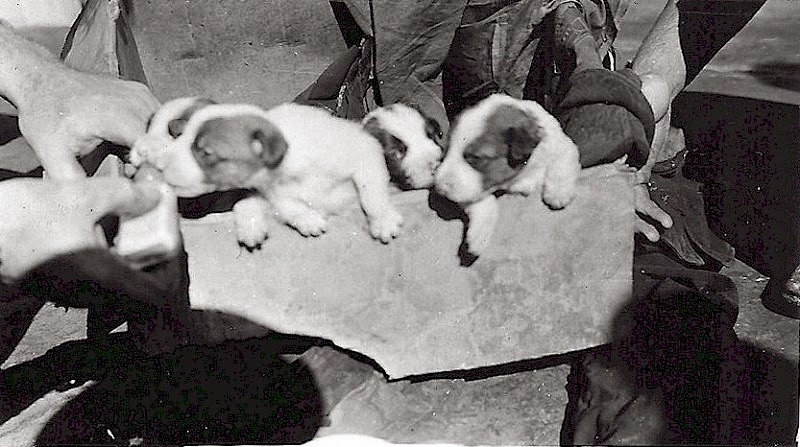 "Townie's pups on HMCS Swansea K328." From the Bob Pearson collection. 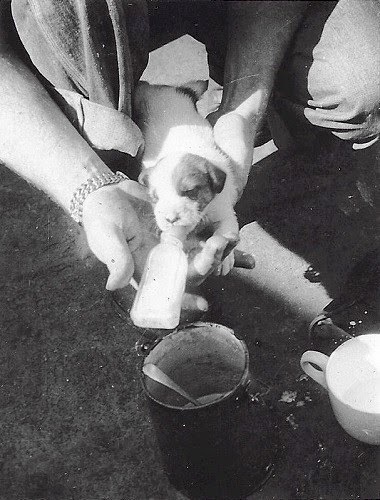 "Feeding time for Townie's pups." From the Bob Pearson collection. 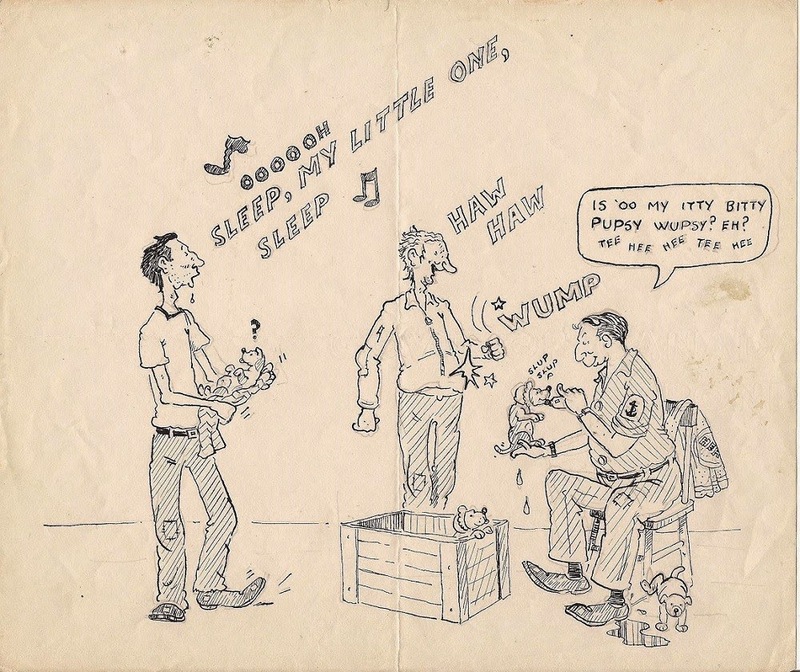 Drawing from a sketchbook by Ken Gray. 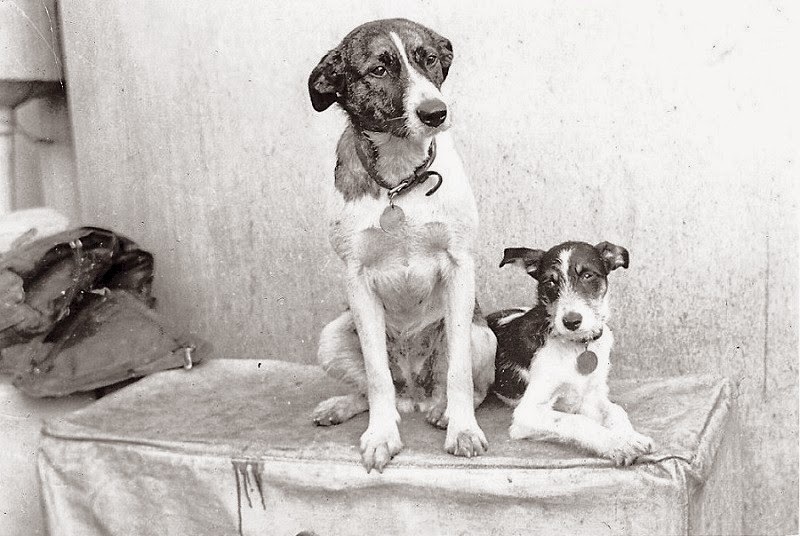 And, sadly ... "Burial at sea of Swansea's mascot 'Townie'"